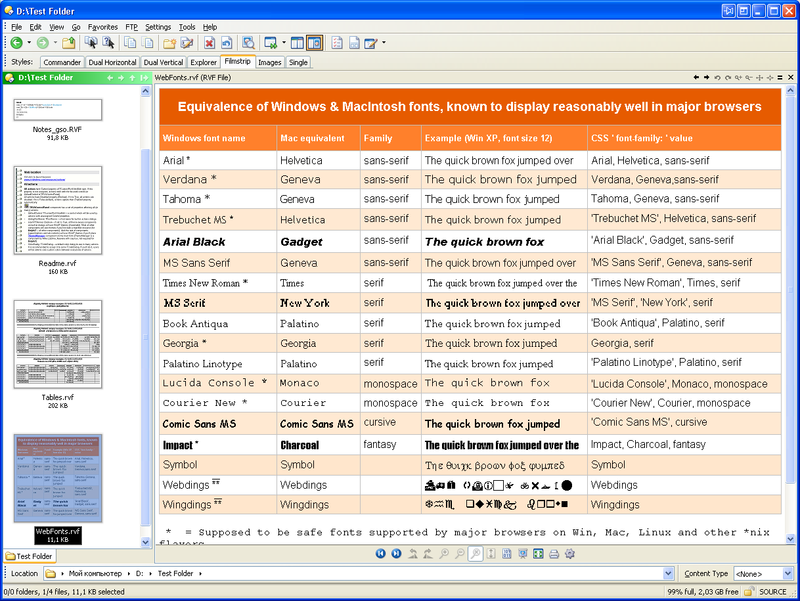 RVF (RichView Format) is a rich text format used by applications created with TRichView components ( trichview.com ). RVF files usually have RVF extension (*.rvf), but some applications may produce RVF files with different extensions. This viewer recognizes RVF files by extension. This ZIP includes both the viewer DLL and source code (Delphi). I used the pascal header file from this post, with some corrections. This plugin supports both file viewing and thumbnails. Known problem: this viewer is not shown in a preview pane. I do not know why it happens. If DOpus developers can help, it would be nice. An example of RVF file can be downloaded with the editor (the link is in the first post) - readme.rvf. If DOpus developers can help, it would be nice. An example of RVF file can be downloaded with the editor (the link is in the first post) - readme.rvf. Updated version (1.0.0.1) is uploaded to the same location. Fixed: problem with preview pane. It can be downloaded from the same location.